When Richard leaned his bike against his fence and hurried into his house, my co-instructor Joseph and I weren’t sure what to think. But before we could even look at each other and shrug, he burst out the front door again carrying his tiny Chihuahua, which he proceeded to give every other kid in Bike Club a chance to pet before we took off for the next house. This was the last day of Bike Club, where we ride to all of the kids’ houses and drop them off with the bicycles they have earned over the course of the six week program. Richard is a great example of what Bike Club is good at other than providing bikes to kids who might not otherwise have a chance to ride. Sure, we teach up to 14 kids per club about riding safely, engaging with their communities, transporting themselves independently and sustainably—we do all that. 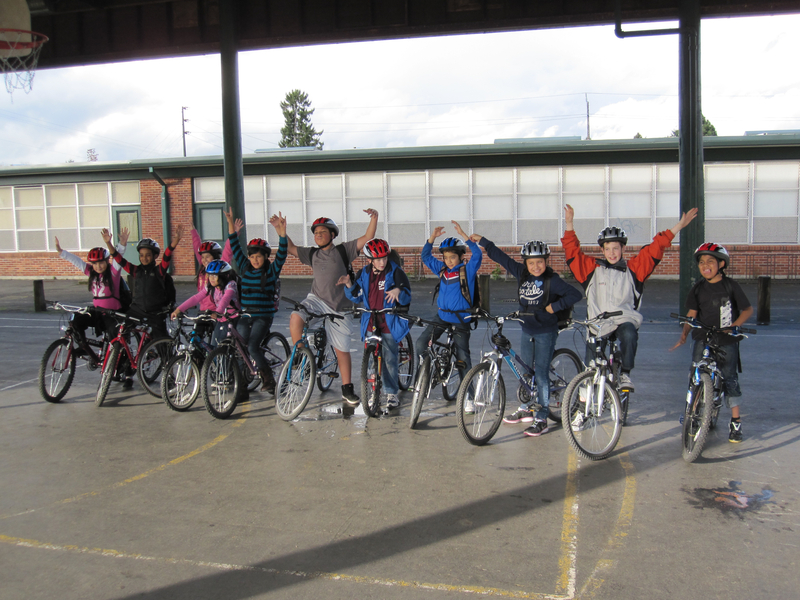 But Bike Club also gives kids who otherwise don’t do well with the generally sedentary, hyper-focused nature of school a chance to shine. 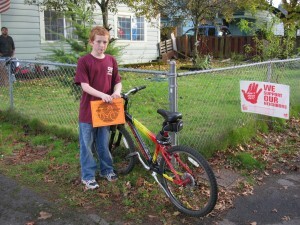 It provides kids like Richard with an outlet to grapple with tangible things as they learn how to fix their flat tires, how brakes work, and how to adjust their seats. It gives them a chance to succeed, to be role models, to use their wild energy for something positive. 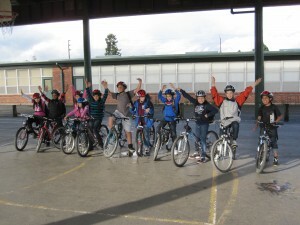 And finally, Bike Club gives kids the chance to develop connections with their peers—sometimes with something as simple as introducing new Bike Club friends to their Chihuahua. Over the six weeks of Bike Club, Richard had sometimes struggled to pay attention, to follow directions, and sometimes needed a little time to cool down from some unknowable frustration—but he was always excited about working toward earning a bicycle. Undoubtedly, his fiery red bike and the skills he learned in Bike Club are going to take him places, and the memories he created will last a lifetime. Before we left for our graduation ride, Richard told us, “…the minute I get home I’m gonna go for a bike ride!” It turns out that the minute he got home he went to retrieve his Chihuahua for all to admire, but there is no question in my mind that a bike ride soon followed. Thanks go out to Bike Gallery for supporting the Scott School Bike Club program and giving Richard, along with ten other 4th, 5th, and 6th grade students, the opportunity to earn a bicycle and create memories together.